Sporting USB (24/96), SPDIF and Toslink (24/192) inputs and a retail price of $299, the DAC15.2 also has a coaxial digital output if you wish to use it as a USB/Toslink to SPDIF converter. Clever. Crystal Cable's first loudspeaker, the Arabesque, used a complex-shaped enclosure fabricated from glass panels. Three years later, the Dutch company showed the new Arabesque Mini ($25,000/pair plus $1000/pair for matching stands), which uses a small aluminum cabinet with the same "comma" cross-section as the glass speaker, a shape that confers advantages when it comes to controlling the inevitable air-space resonances. A beryllium-dome tweeter is coupled to a long-throw, 1" maximum excursion (presumably peakpeak) 6" woofer. Crystal specifies distortion as being <0.5% from 120Hz to 20kHz, though no spl is given for this specification. For the past few years, Colorado company YG Acoustics has been exhibiting in a large "air-wall" space in the Sands Convention Center. Their reason for doing so was that it was a great place for a new company to get foot traffic, but the downside was that it took heroic efforts to get sound quality that would indicate what YG speakers were capable of. 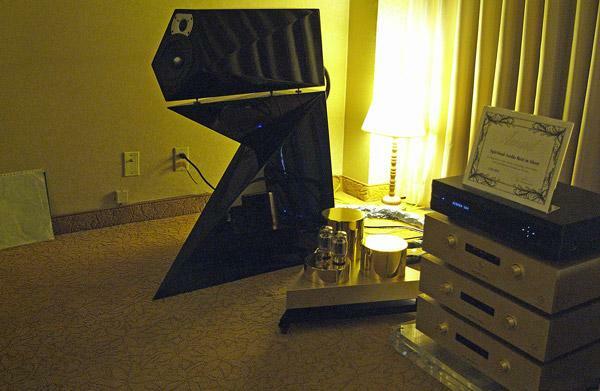 For the 2012 Show, they had moved to a large suite in the Venetian Tower, and finally they were showing what their $119,000/pair flagship, the Anat III Signature, was capable of. The second room in which I auditioned YG speakers was the Vitus Audio room, where the Kipod II Signatures ($49,000/pair) were doing their very musical thing. 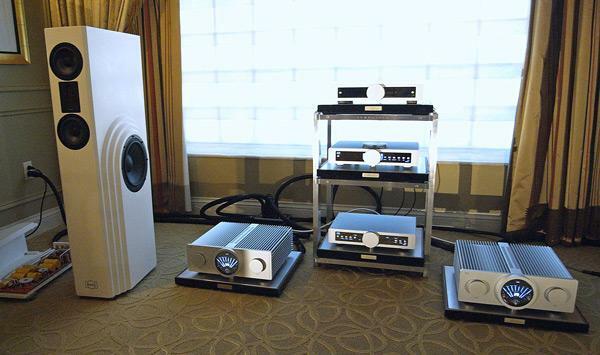 The Kipod uses the same materials and technologies as YG's top-model Anat III and now uses the BilletCore midrange unit and woofer, where the diaphragm is machined from a solid slab of aircraft-grade aluminum. First-generation Kipods can be upgraded to II status. "These speakers get the scale of the sound right," I scribbled in my notebook as I was listening to the Hansen Emperor E speakers ($68,000 Canadian) playing a big band recording. 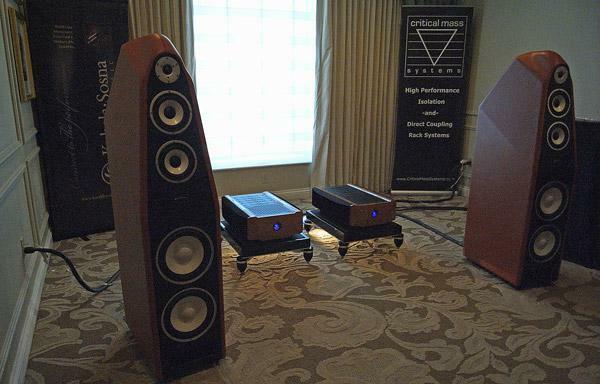 The leather-covered, 61" tall speakers were being driven by Tenor 350M monoblocks, a Tenor Line 1/Power 1 preamplifier, and Phono 1 phono stage, hooked up with Kubala-Sosna Elation series cables. The front-end components were supported on a Critical Mass Systems Maxxum integrated rack and filter system. Jon Iverson already wrote about the Viola Crescendo D/A preamplifier in the Wes Bender Studio room. 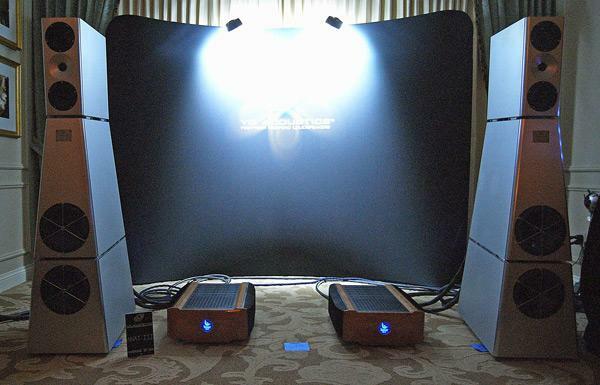 The New York retailer was also showing the new, leather-covered Hansen Prince E loudspeakers ($30,000/pair), which were making their world debut at CES. This was another room playing the QRP pressing of Shelby Lynne singing Dusty Springfield's "Just a Little Loving," this time on a Redpoint turntable fitted with a Tri-Planar arm and Dynavector XV-1t cartridge. 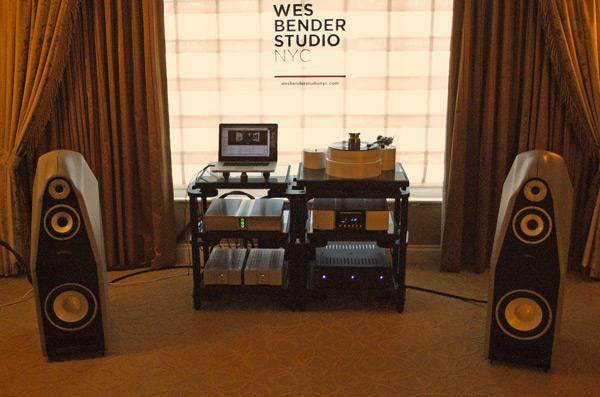 While I felt the earlier Prince V2, which Wes Phillips reviewed a few years back promised more than it delivered in the bass, the bass guitar on the Lynne album positively growled on the Prince Es driven by Viola Forte monoblocks ($19,000/pair), with terrific power. 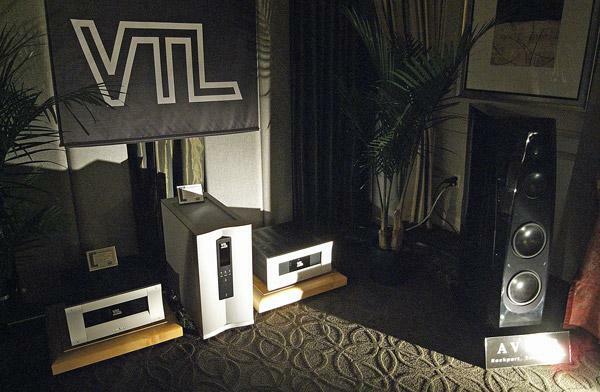 The BMC (see next story), Ypsilon, and Lansche brands are distributed in the US by Aaudio Imports. 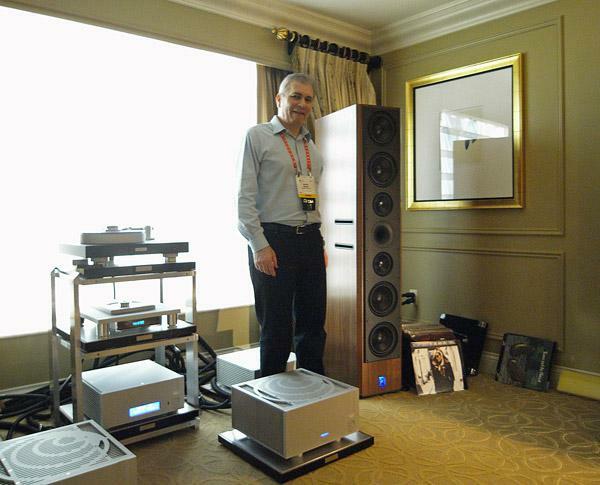 Larry Greenhill has already described the new Ypsilon Aelius monoblock amplifier and I auditioned the amplifier in one of the two Aaudio rooms at the Venetian with the new Model No.7 speakers from Lansche ($100,000/pair in satin-veneer finish; $108,000/pair in high gloss). 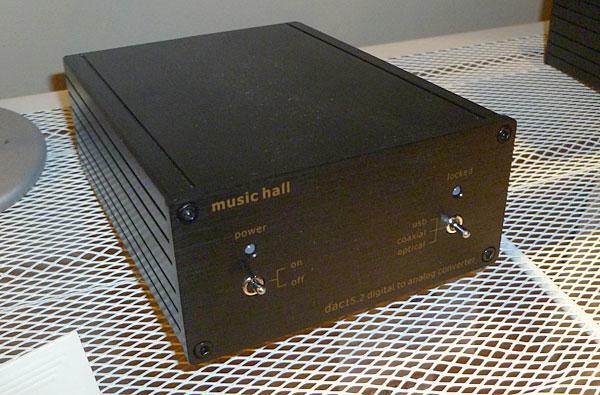 I first heard the attractive-looking BMC amplifiers at last April's Axpona in Atlanta, and was impressed enough that I asked Michael Fremer to review one of them (to appear in our May 2012 issue). 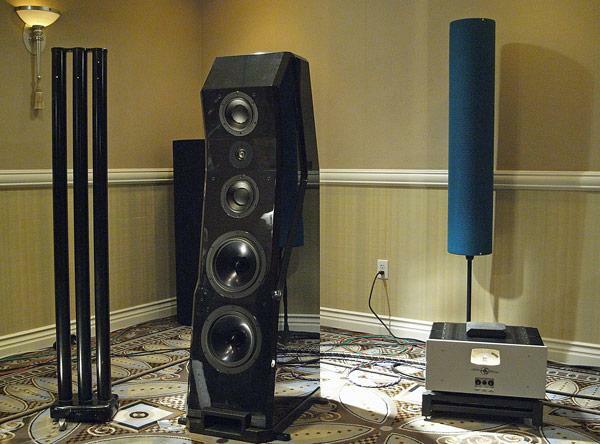 At CES, BMC launched its first loudspeaker, the Arcadia ($36,300/pair). A three-way design, the bipolar Arcadia is symmetrical in both horizontal planes, there being an 11" woofer on each side and the trio of drive-units on the front are echoed by an identical trio on the rear. Rockport Technologies' Andy Payor alerted me before CES that VTL would be using his new Avior speaker at the Show. 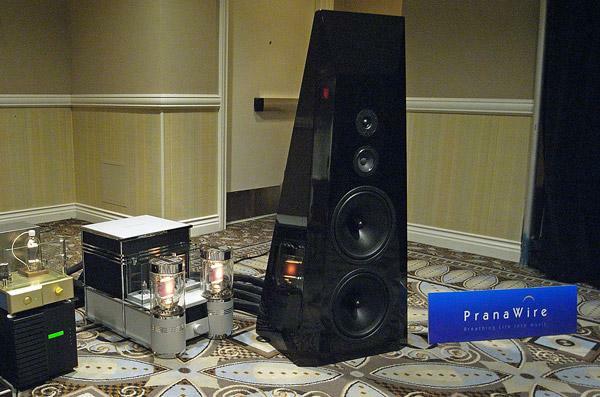 A three-way design using twin 9" carbon-fibersandwich woofers, a 6" carbon-fibersandwich midrange unit, and a 1" beryllium-dome tweeter, with Transparent Cable internal wiring, the Avior costs $29,500/pair. 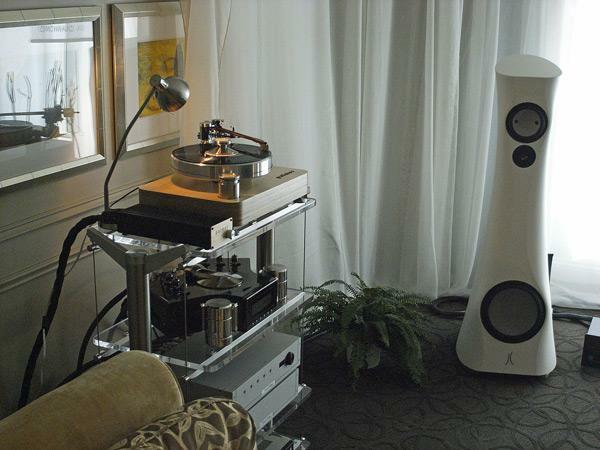 Driven by VTL's new S400 II monoblocks, a TL7.5 Series III preamp, YP6.5 phono preamp, and Spiral Groove LP player, the sound of Shelby Lynne singing "Just a Little Loving"the song of the 2012 Showsent shivers down my spine. "Deliciously real!" said my notes. 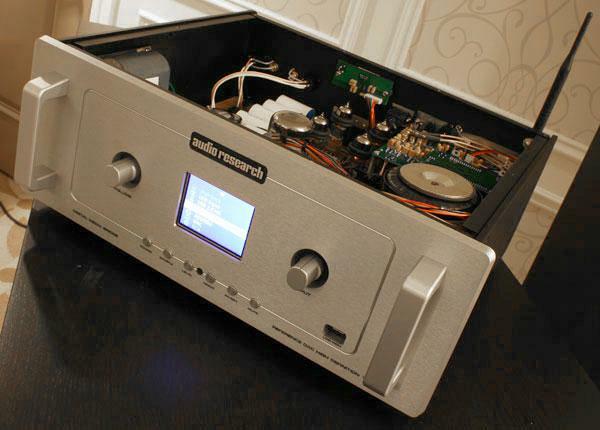 Demonstrated with Concert Fidelity amps and preamp, the Bricasti M1 D/A processor that I review in the February 2012 issue fed by a Loit CD player, and, like many rooms at CES, wired with Kubala-Sosna Elation and Emotion cables, the Estelon XA Diamond ($64,000/pair) produced sound to match the elegance of its styling. 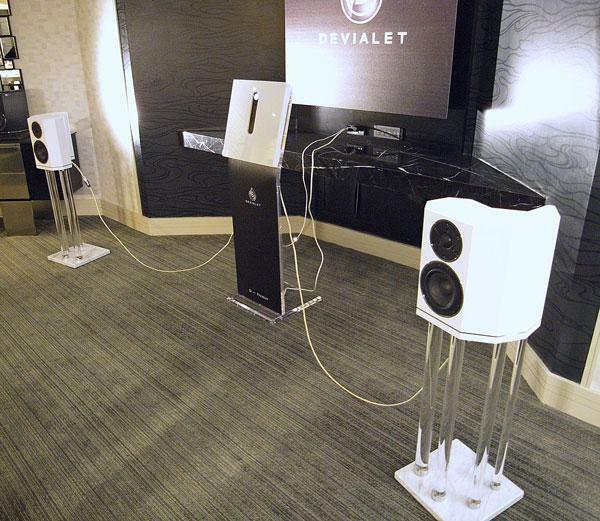 Improvements over the standard XA that I auditioned at the 2011 CES include a diamond tweeter, improved midrange unit and woofer, and changes to the constrained-layer cabinet construction. Quintessence was a brand new to me, but it turns out that the company's Shadow V loudspeaker ($35,000/pair) was designed by PBN's Peter Noerbaek. Driven by PBN amplifiers and playing a Nat King Cole track from open-reel tape, this large, elegant 225 lb speaker sounded a little lacking in air at the top, but this may well have been due to the room being larger than optimal for the tweeter's dispersion. The sound was otherwise high quality, with an uncolored midrange and extended lows. I first auditioned an open-baffle Granada speaker at the 2011 Show, which used a single Feastrex driver to cover the range above 200Hz and was being driven by a solid-state Musical Fidelity amplifier. 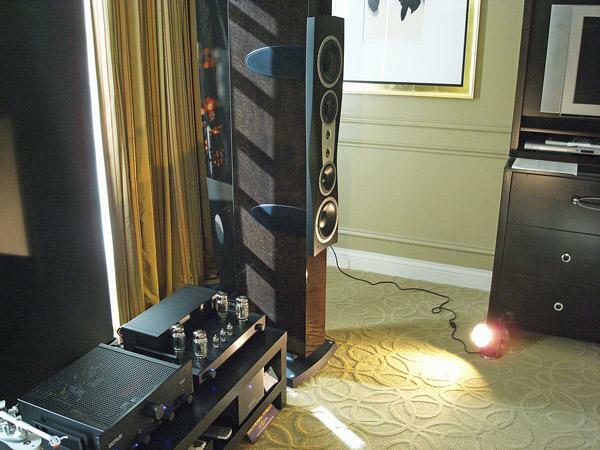 For 2012, the Lotus Group was showing the less expensive G2 ($75,000/pair), which uses a more conventional midrange unit and tweeter, but still on an open baffle, still with a digital-domain crossover and room calibration realized in DSP. Amplification this year was provided by the humongous Audio Power Labs 833T amplifier that had impressed Larry Greenhill elsewhere at the Show. If there is one thing audio reviewers like (other than wine, women, and song, of course), it is recommendable products that stay in production for years. And years. I reviewed the original Confidence C4 in 2003, with a follow-up by Wes Phillips in 2007, so it was with some surprise that I encountered the speaker at the 2012 CES. Except that this was the new Signature edition ($22,000/pair), which has a revised crossover, a high gloss finish (that is difficult to photograph :-), and a new coating on the Esotar2 tweeter's soft dome that is said to give a smoother, more open sound. With a standard finish, the C4 costs $20,000/pair; the C1 stand-mount has been similarly improved, with the standard version costing $7700/pair, the high-gloss Signature $8500/pair. Dynaudio is now offering its speakers with a 10 year warranty! I was astonished to come across a room at T.H.E. Show featuring the Scientific Fidelity brand. Back in the early 1990s, SciFi had some of the most stunning-looking tube amps and preamps, as well as a speaker, the Tesla, that offered spectacular imaging, SciFi's founder, Mike Maloney, exited manufacturing many years ago and founded T.H.E. Show, which he subsequently sold to Richard Beers. I bumped into Mike at a CES a few years back, and he had become a best-selling author on valuable metals trading. 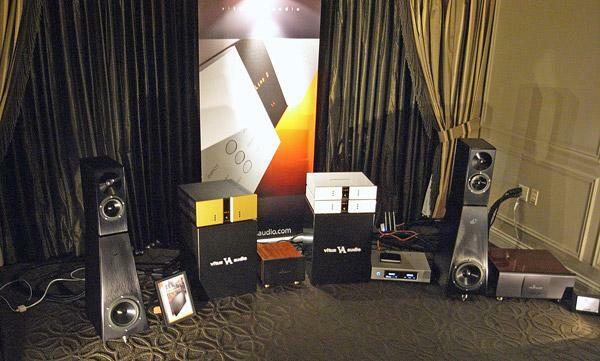 But the brand was back for 2012 with the stunning-looking, three-way Stylust loudspeaker ($30,000/pair), which sounded clean and detailed driven by the triangular Trillium amplifier ($25,000). Although the gentlemen in the room didn't speak English very well, I gathered that Mike was still the creative force behind the brand.